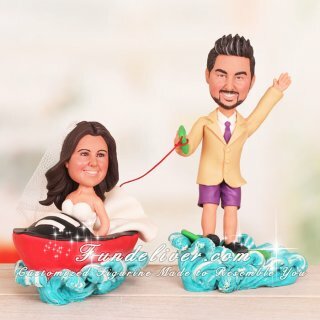 This is a completely customized bride driving speed boat groom on wakeboard wakeboarding wedding cake topper ordered by one of our customers. They would like the bride to be in a white wedding dress, driving a red speed boat with black stripe, and add a veil on the bride’ head that looks like it is blowing in the wind. For the groom, they would like him to be in tan suit jacket, purple tie and purple shorts, standing on a green wakeboard and holding a green handle. For the base, a wave shaped base is designed to accent the wakeboarding touch. 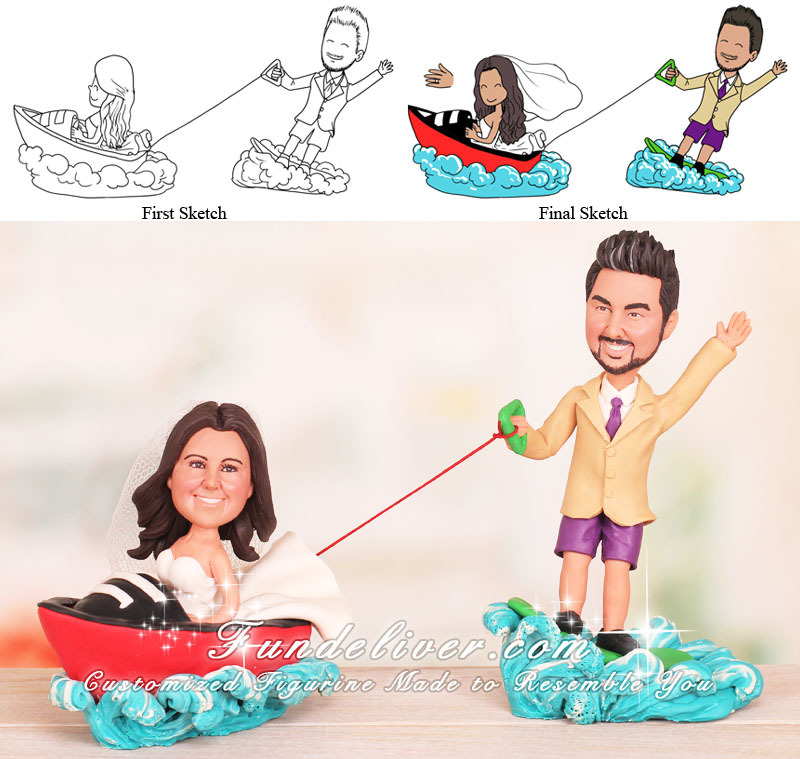 Love this wakeboarding wedding cake Topper? What is your favorite sport? Do you want to incorporate it into your wedding? If yes, we can help. Just tell us your idea and send us some reference images, we will first design some 2D sketches to get your approval and then turn them into 3D figurines to make your idea come true.